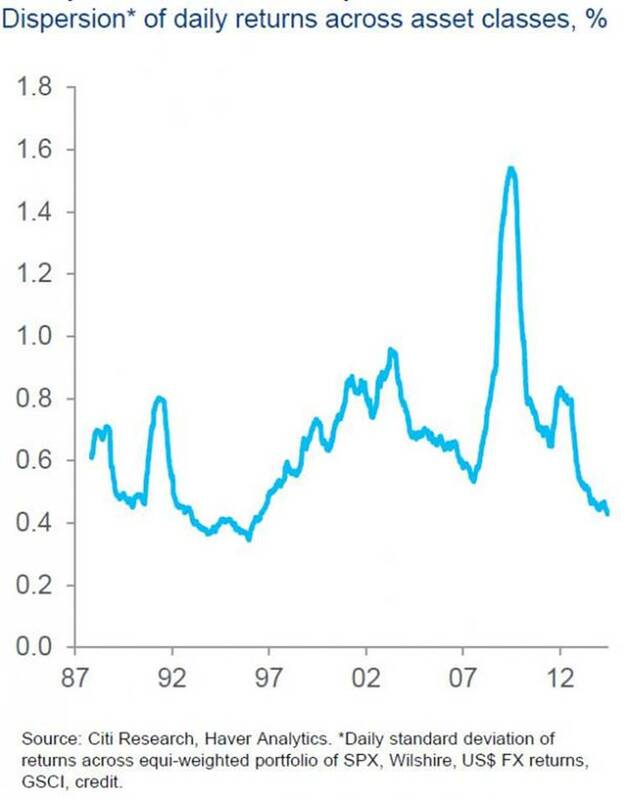 The vicious circle of central-bank inspired low volatility begetting increasing fragility (instead of 2004-2007’s virtuous circle)is nowhere more clear that in the collapse of alpha generation opportunities and the implicit capitulation of every hedge fund, retail investor, and Goldman muppet to be all-in on stocks. 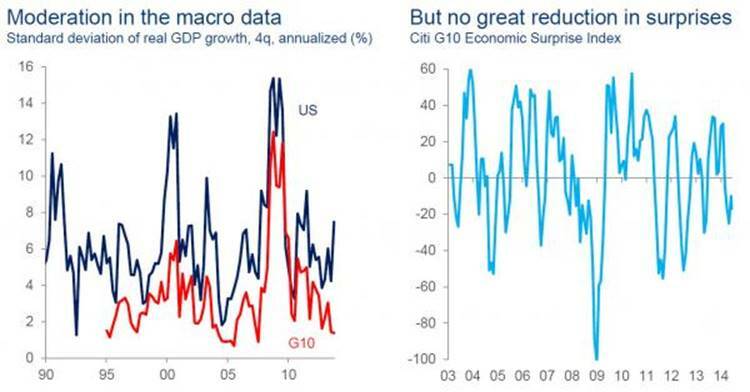 Removing collateral, gating bond funds, and constant warnings that they bonds (not stocks) may be frothy has done nothing but herd an ever more brainwashed investing public into an ever more concentrated ownership of stocks. 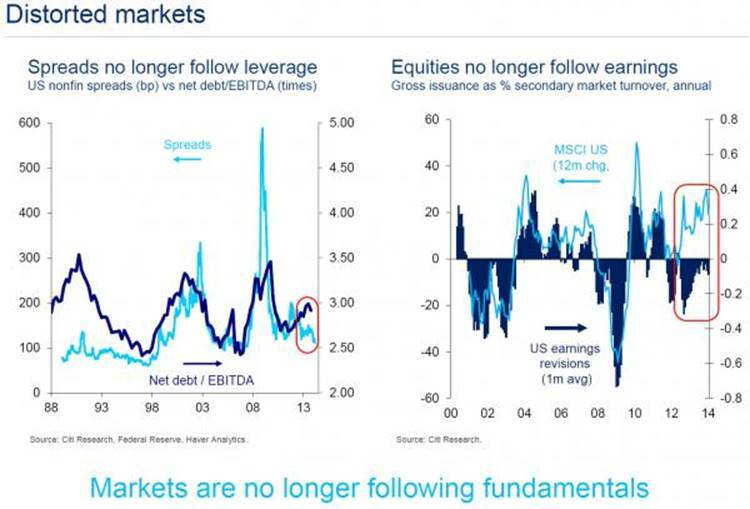 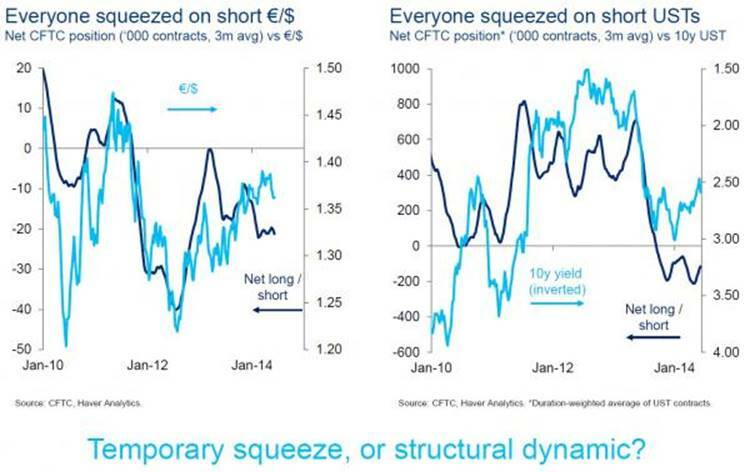 This, as Citi’s Matt King explains, has distorted markets to no longer follow fundamentals (no matter what you are pitched on TV or by your broker). 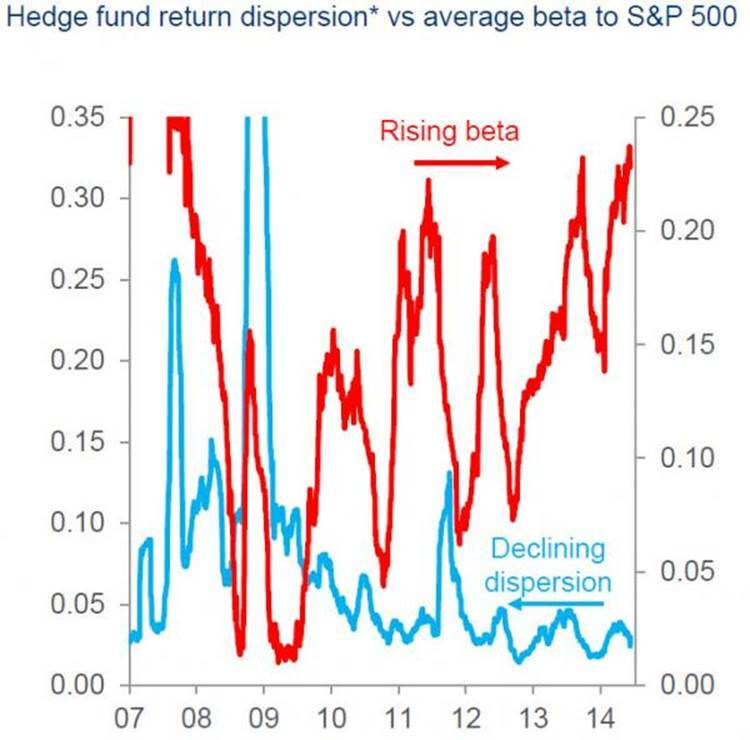 The bottom line – there is no Alpha, everyone is all-in Beta, and consensus is now so one-sided that Contagion is inevitable if any event occurs to rattle market’s faith in the omnipotent ones (like a gold spike).